We carry the entire Brunswick range of accessories, which is available exclusively through Home Leisure Direct in the UK. The Brunswick range of accessories are a perfect accompaniment to the Brunswick pool tables. 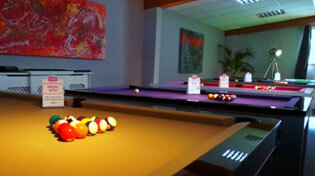 They are made to match the quality and level of play that your Brunswick pool table will give you. The Brunswick accessory packs are designed to provide you with everything you need to play on your Brunswick pool table. This includes racks, balls, cues, chalk, a table brush and a rule book, varying slightly depending on the pack you choose. These accessory packs come in a range of prices, that reflect the materials they are made from and the level of play you intend it’s use for. A Contender accessory pack will go well with a Contender pool table and is intended for entry level play, but if you are a more serious pool player, the Heritage and Centennial accessory packs will be more suited to you and the level of play and response you expect from a professional game. If you are buying a Brunswick pool table from us here at Home Leisure Direct, these accessory packs are the best accessories to go with your table as they are made to work together giving you the most out of your pool table. All our Brunswick pool tables come with a free Contender accessory pack, but if you are buying an Authentic Brunswick table, as opposed to a Contender pool table, then we strongly advise you to match the level of accessories to the level of your pool table and upgrade to a Centennial accessory pack to get the best game play from your luxury pool table. Visit our Contender vs Brunswick Authentic page to understand the differences between the them. Every Brunswick play package is covered by a manufacturer's 1 year warranty. For more details, visit our Brunswick Warranty page.